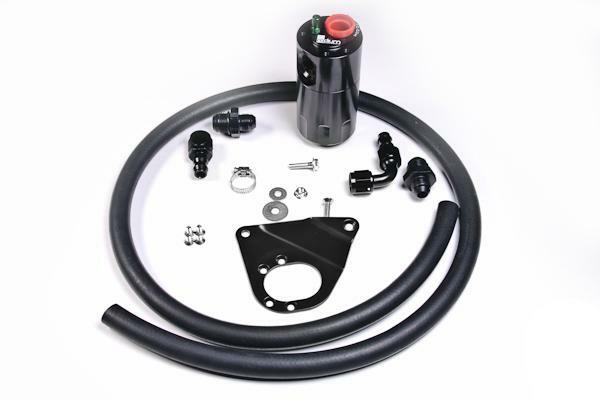 These installation kits are specifically designed for high performance vehicles. Unlike many catch cans on the market, this catch can features an integrated oil separator that accelerates oil condensation. This cleans the PCV gasses and reduces the oil build-up on the inside of the intake tract and intake manifold and intercooler.The stainless steel filtration media is cleanable and reuseable. The catch cans act as a filter and collect the oil and other sludge and keep it out of vital engine components.